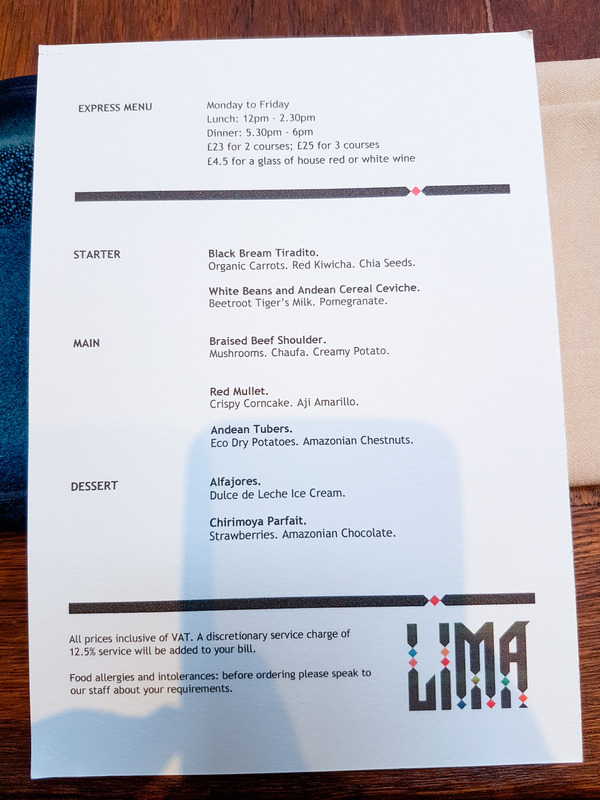 I visited Lima in November 2016 and I’m writing this review in July 2017, the fact that I can sit here on the tube to work and write about it, must show how memorable the food was. So, yes, this review is totally out of date and you probably won’t be even able to order what I had but I want to give you an idea about the quality of cooking and highlight what you can get here. 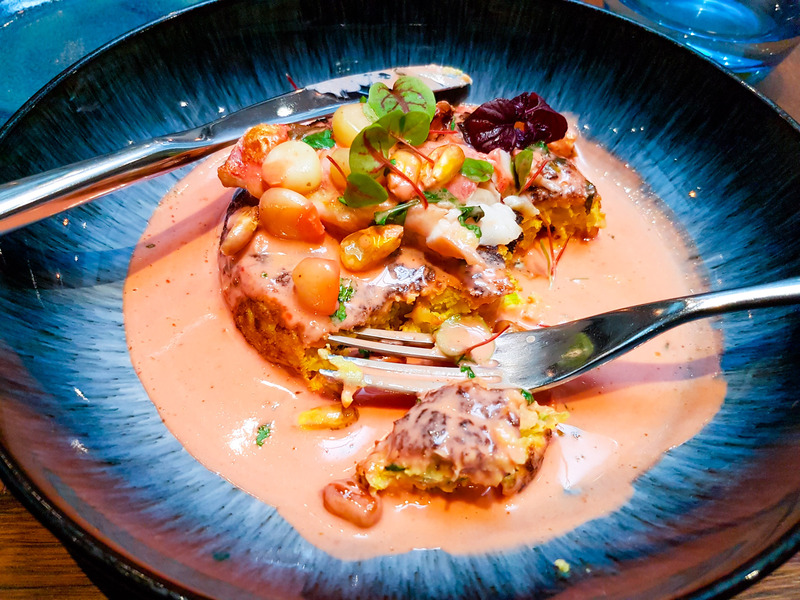 I went to visit the Michelin starred Peruvian restaurant at lunch to take advantage of the lunch special. It would be my first experience of such cuisine. It’s located just off Oxford Street and very close to my office. Before entering I knew I wanted to take advantage of the set menu, pictured below. 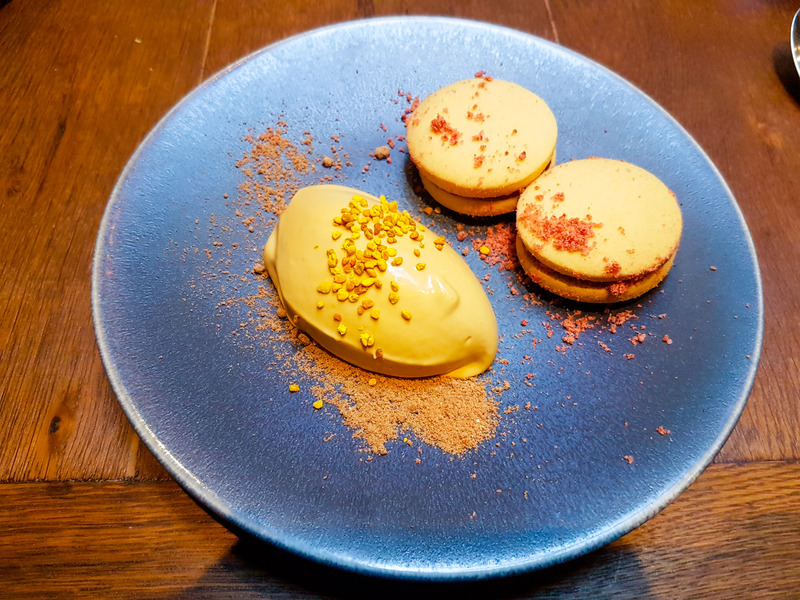 £25 for 3 courses. The focus he is on seafood and there are no halal meat or chicken options available. 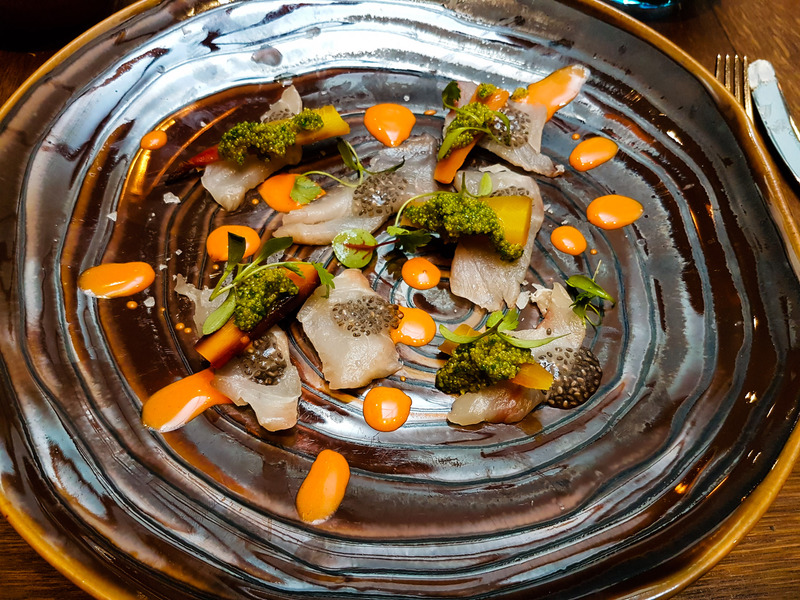 Black Bream Tiradito, served with organic carrots, red kiwicha and chia seeds. To start, a beautiful looking dish. It was light and well crafted focusing on balancing the fish with the accompanying puree which worked well. The only issue was I finished this in a minute. No grace from me here. Next came the main course. Red mullet with a crispy corn cake. 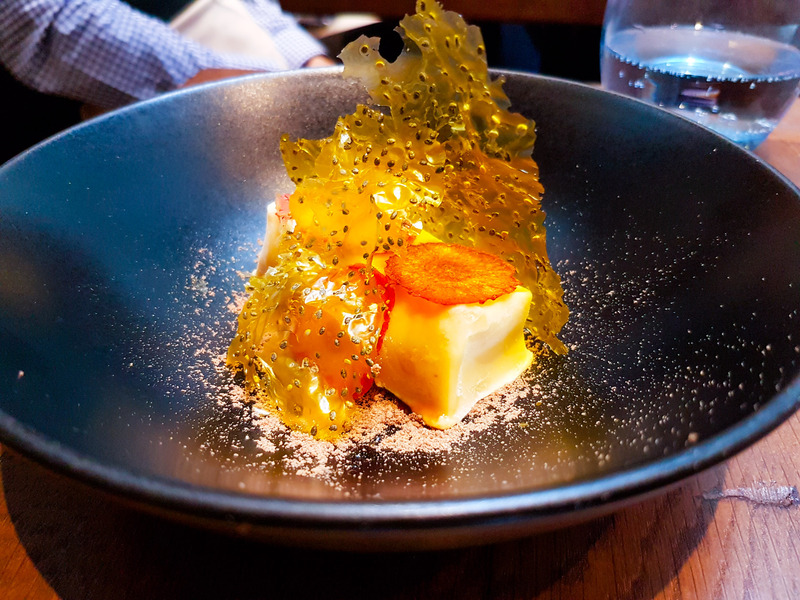 This dish really left an impression on me – 10 months later I can still recall the new flavours that I tasted. 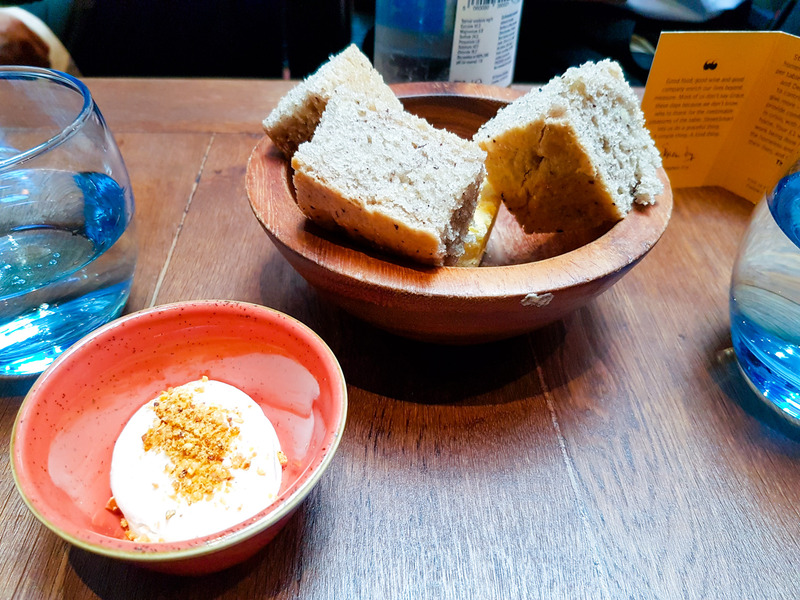 There was a new discovery with each bite, a new texture, a new flavour that I was unfamiliar with and I liked it. When I saw the menu, I thought to myself, “a corn cake.. Really? Is that going to be any good?”, but I’m really glad I tried something different. 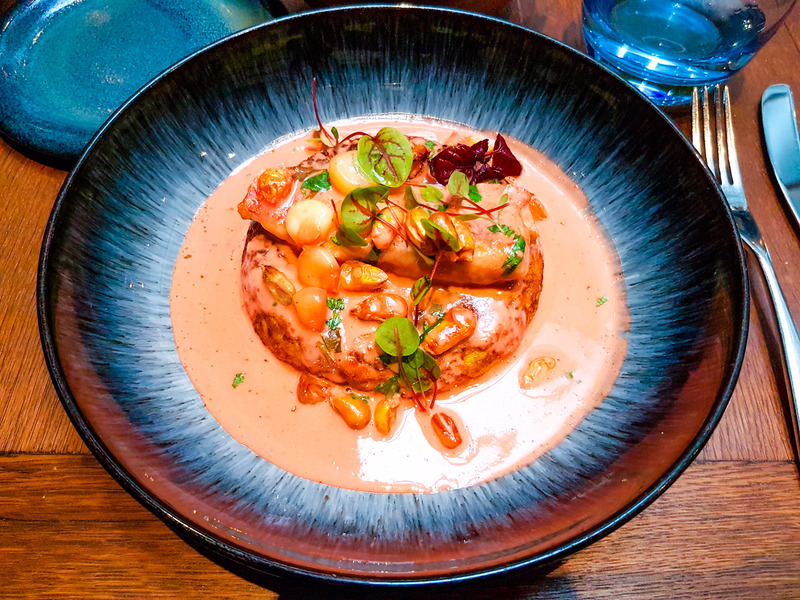 The sauce was a unique rose pink colour and everything about this dish was different to what I usually eat. 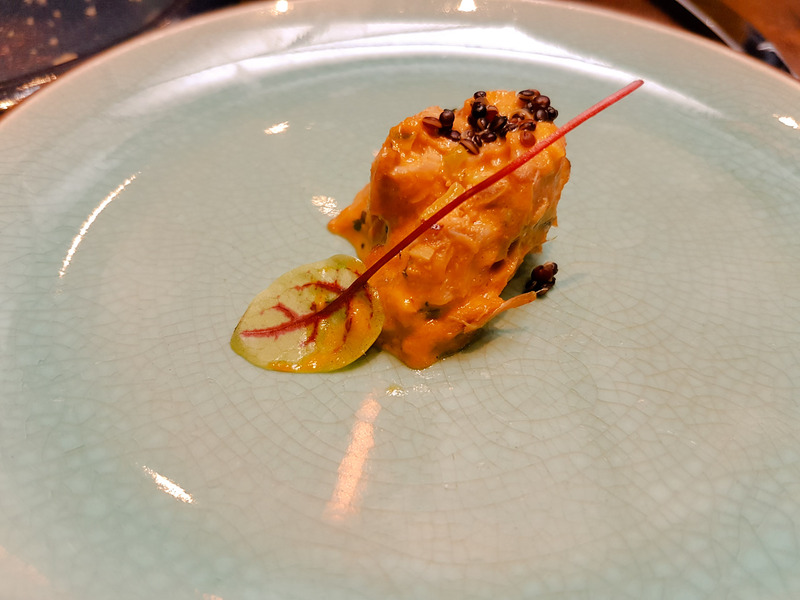 Made from a specific chilli from Peru called Aji Amarillo, It was presented on a striking blue patterned plate and the food looked great. For dessert I think i picked the wrong choice, my friend’s looked a lot better. He got the Chirimoya Parfait with strawberries and Amazonian chocolate. It was a lovely looking dish which was more to my taste than what I had unknowingly ordered. The Alfajores, which after googling is a soft, delicate cookie from South America made, with cornstarch. The cornstarch gives the dough a smooth, shiny texture and produces a tender, crumbly cookie. The Creamy Dulce de Leche holds the cookies together. In summary, a totally different and welcomed food experience for myself. I loved the care and attention that went into the presentation of these dishes. Even nearly a year later I can recall that texture and taste of that main course. 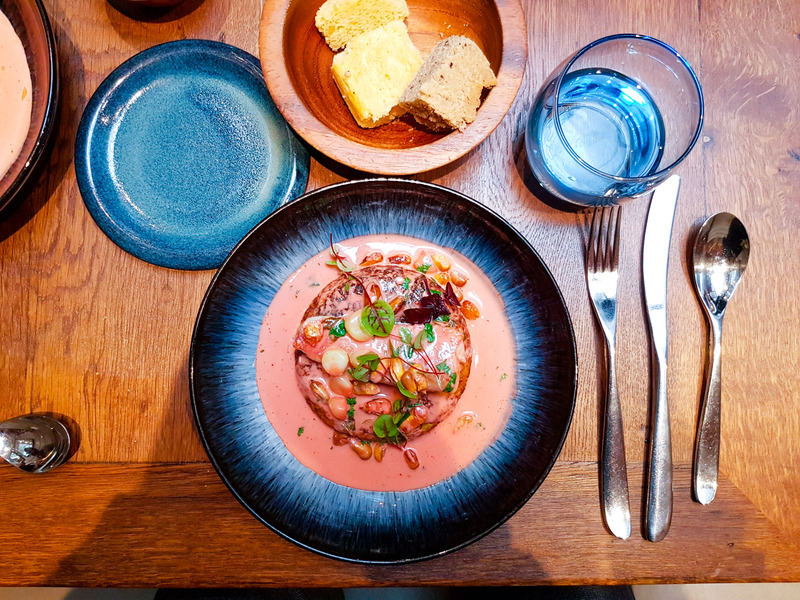 Although the menu I had is most likely unavailable, I’d happily recommend checking this place out, it’s something different and the quality of ingredients and fish they used is a clear indication of the standards they hold. Hey Buddy!, I found this information for you: "Lima". Here is the website link: http://halalfoodguy.co.uk/lima/. Thank you.